Force India deputy team principal Bob Fernley said Marussia did not provide the necessary documentation and evidence to convince the F1 Strategy Group to facilitate its return to the grid this year. The F1 Stategy Group is made up of representatives from the FIA, the F1 Group, Ferrari, Mercedes, Red Bull, McLaren, Williams and Force India - the latter on the basis of its results last year - and sets the agenda for decisions in the sport. When the subject was raised at Thursday's meeting, Force India was the first to vote and immediately voted against allowing Marussia to run a 2014 car, meaning the proposal was rejected. 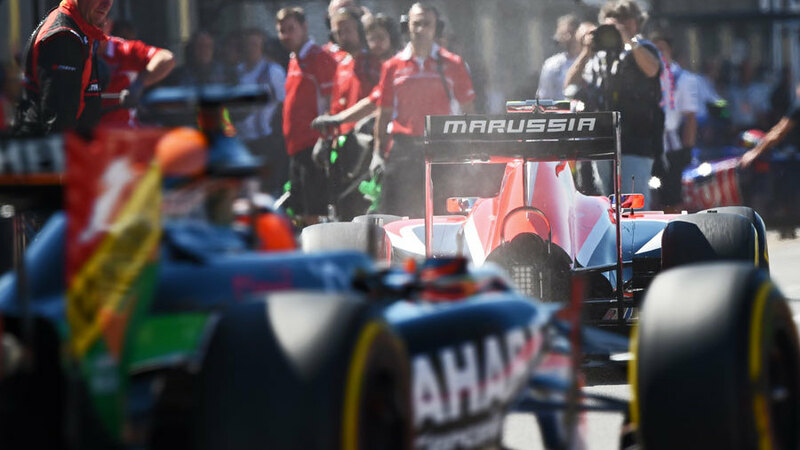 "Marussia have an obligation to put in a proposal to the F1 Commission and F1 Strategy Groups to be able to demonstrate that they can deliver a programme for 2015," Fernley told Sky Sports. "They're asking for dispensation in terms of running a 2014 car prior to switching over a 2015 car and in that should be all the details of what is going on. "So, while it's a very emotional subject, it also has to go through compliance and due diligence and it couldn't go through either of those. It just happened to be that Force India was the first team to vote and once one team has voted against, it's no longer viable." Bernie Ecclestone suggested the reason the teams voted against it was because the prize money due to Marussia would then be spread among its rivals. However, while Fernley admitted some teams are struggling financially, he said the only consideration in the vote was whether Marussia was in a position to return successfully. "It's tough. It would be wrong for me to say we're all having a wonderful time - we're having a tough time and costs are rising. The income distribution is very well documented and none of that is being addressed. "If it had been us, and it was our last chance saloon, we would have had all the bells and whistles out for a presentation. But we don't even know who the owners were going to be."